Our conference delegates often ask for access to the presentations they heard at the conference, both as a personal reminder and to share with colleagues. 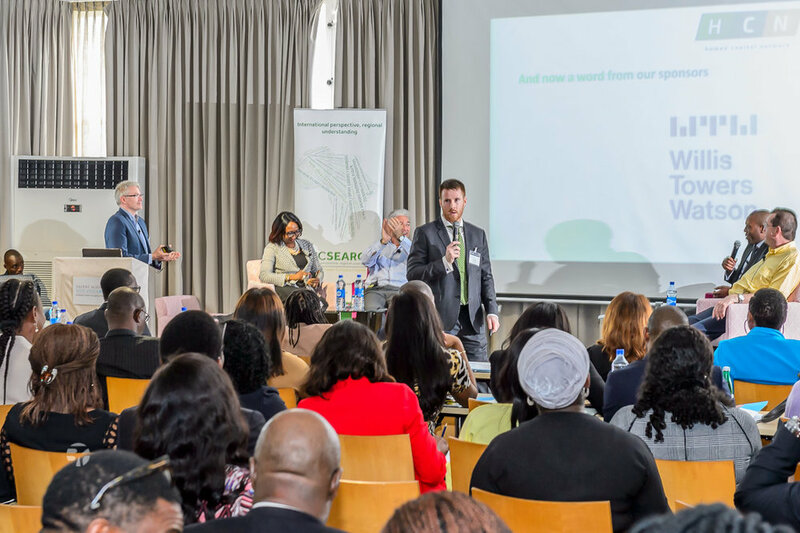 We are very pleased to be able to give all our community members access to the presentations given at our recent conferences in Nairobi, Lagos and Johannesburg. Scheherazade Zekkar, HR Director for Global Career Company, runs a workshop on how the European General Data Protection Regulation will affect Southern African businesses in the future. 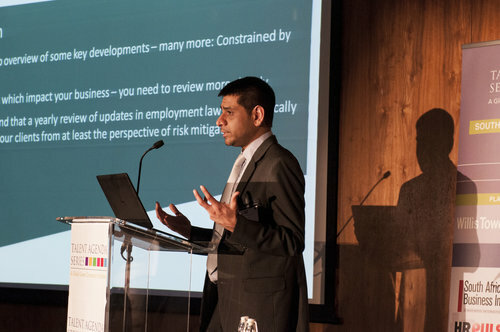 Imraan Mahomed, Partner at Hogan Lovells, the Platinum Sponsors of the Talent Agenda Series Southern Africa Forum 2018, presents the importance of Restrictive Convenants, particularly for employers in Southern Africa. Willis Towers Watson and Global Career Company host a workshop on the importance of mapping the employee experience, from first approach to exit, and how streamlining this experience will support the employer’s brand. 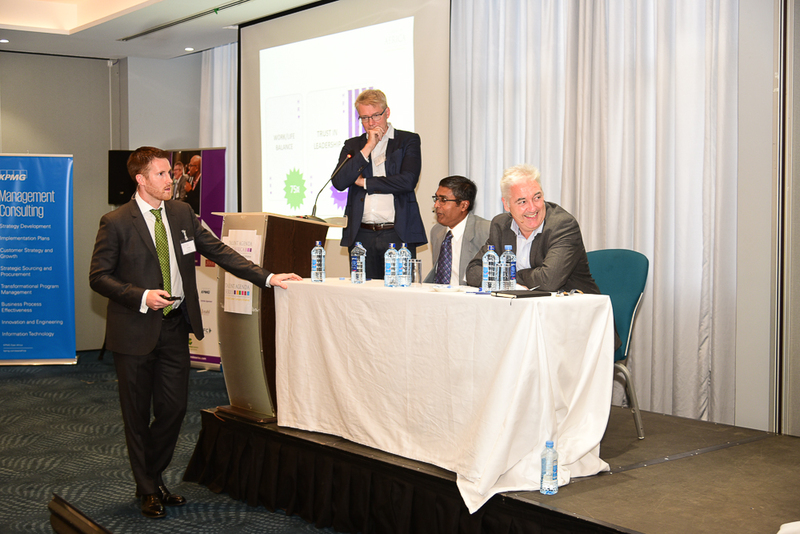 Willis Towers Watson and Global Career Company examine the latest data on engagement and attraction in Africa, investigating how companies can improve their employee engagement through innovative methods to support business executives. 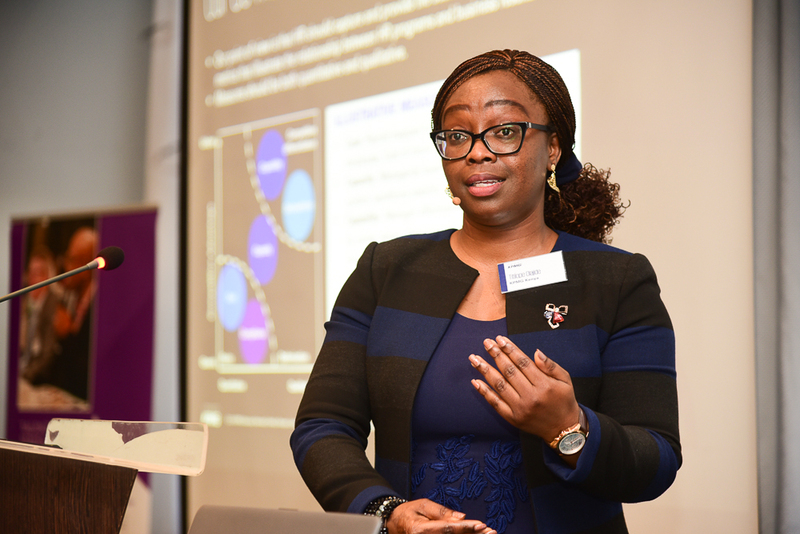 Titilope Olajide, Head, People and Change at KPMG East Africa, and colleagues present KPMG’s stance on Predictive Analytics and HR in a digital age and how this will affect the HR sector for the East African region. 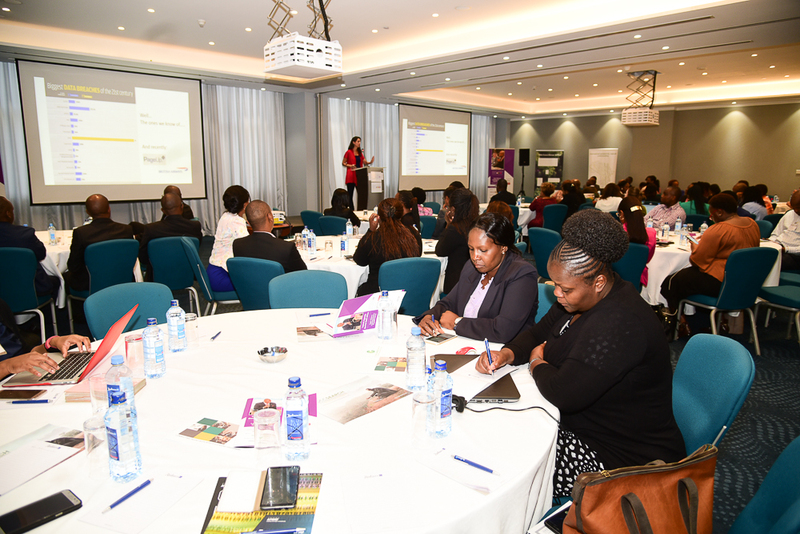 Angie Garcia Forner, Director and Performance Coach of Garcia Forner Consulting and Rekha Kent, Director of Redstone Consulting, present the latest challenges surrounding Gender and Diversity within the East Africa Community. Scheherazade Zekkar, HR Director for Global Career Company, runs a workshop on how the European General Data Protection Regulation will affect East African businesses in the future. 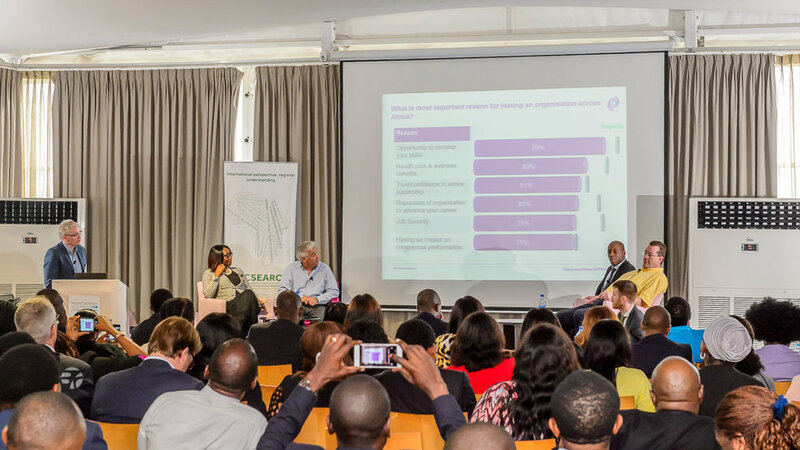 This presentation is based of the "Employer of Choice" study run by Global Career Company and Willis Towers Watson at the Talent Agenda Series West Africa Conference. Willis Towers Watson are our Platinum Sponsors and at the recent Talent Agenda Series West Africa Conference in Lagos, they gave an interesting presentation run by Crispin Marriott called "Cyber Security: A People and Culture Issue. Using company culture to prevent risk". Sage are Silver Sponsors of the Talent Agenda Series Conference in Lagos. During the Talent Agenda Series West Africa Conference, Wilson Dike gave the presentation entitled "Next Generation Systems for Next Generation People Management". On the second day of the Talent Agenda Series West Africa conference our Partners the CIPM ran a Workshop titled "Leadership Pipeline Development" This workshop was presented by Innocent Oseghe. Employment Law by Imraan Mahomed. This presentation was given at the Talent Agenda Conference in Johannesburg in 2017. Its highlight of recent employment law, identifying and mitigating risk. Find out about collective bargaining; anti-discrimination & sexual harassment; data privacy and protected disclosures. Attracting, Engaging and Retaining Talent by Crispin Marriott. 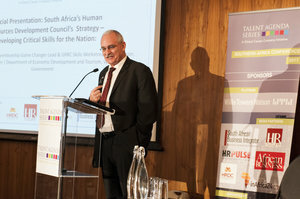 This presentation was given at the Talent Agenda Conference in Johannesburg in 2017. Review the results of advanced analytics and exclusive evidence-based research to explore ways of creating and leveraging an employer value proposition (EVP) that attracts, engage and retains the right talent pool for your business. Presented by Tim Peck in Johannesburg in 2017. The role of technology and digital HR in a 21st century Africa - how to open up the digital world to the citizens of Africa. DR Florus Prinsloo, presented this in Johannesburg in 2017. Learn more about South Africa’s Human Capital Development and the best methods of developing critical skills for the nation. 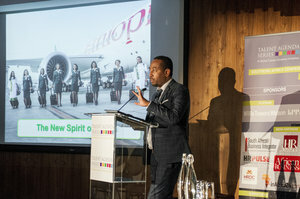 Abel Alemu gave this presentation at our event is Johannesburg in 2017.